If this is your first time here, welcome, welcome! 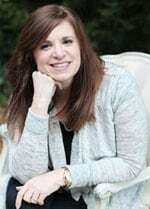 I’m Leslie Davis, DIY enthusiast, interior design and renovating junkie. I’m in the middle of a major remodeling project we have dubbed #theTrailHouseReno. 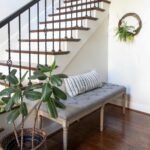 This is my third season joining in as a Guest Participant to the One Room Challenge. I’m so thrilled to be back and ready to get my room done! 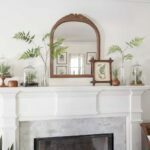 I am always up for a challenge especially when the prize is a transformed space in just 6 short weeks. 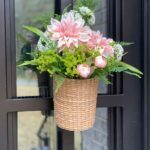 Many thanks to our lovely host, Linda, at Calling It Home for the inspiration and the platform that has helped me and so many others makeover spaces in this race-to-the-finish-line speed. 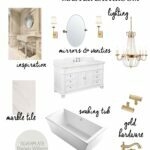 Last fall, we tackled our master bathroom and sheepishly I will admit, it was the incarnation of the bathroom of my dreams. You can see the full reveal, in the link below. I loved that bathroom. And oh, how I miss that tub. But then this foreclosure house in our neighborhood somehow kind of stole my heart and less than a year later, we moved. To read the complete story you can click the link below. So, fast forward 6 months from the close on the Trail House Reno and 3 months from our move-in date and so much in this dated 90’s home has changed. But then so much hasn’t. 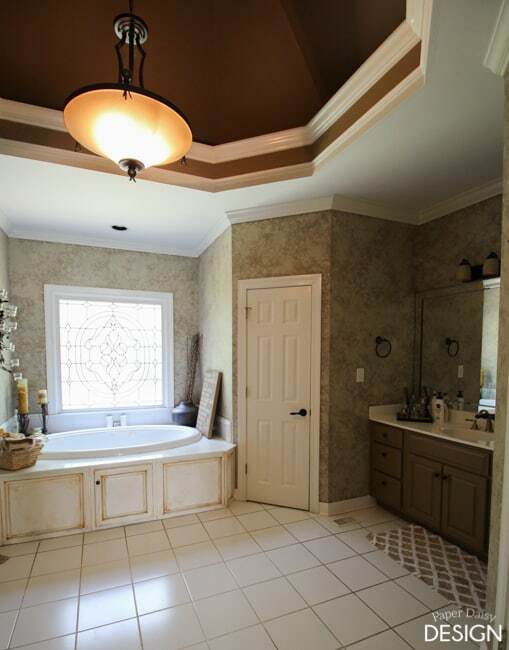 We are still without a master bathroom. This is how it looked after “Demo Day” back in May. Side story: Notice we took out the window. Big mistake. 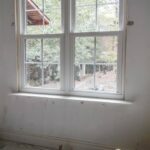 Don’t ever take out a window until you are absolutely sure your contractor actually orders a new window. But that’s a story for another day because we still don’t have a window! Yep, several months without an actual window in place. And until we insulated the house wrap covering the opening, sleeping at night was a lot like camping. Except the room was air conditioned and we were in a comfy bed, but yes, the crickets and frogs could be heard loud and clearly. Not a great deal of progress happened since then. 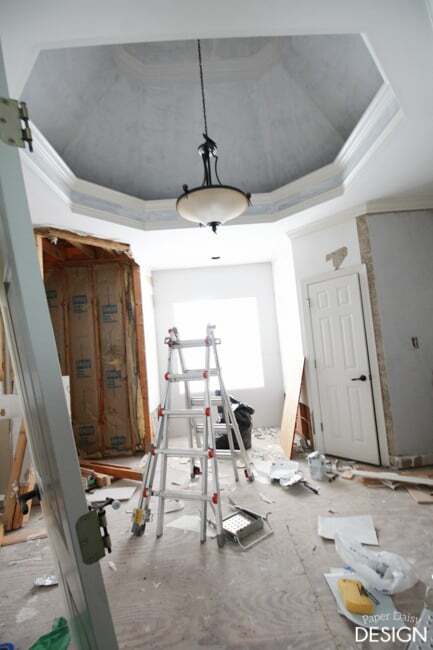 Back in May we painted the ceilings and got rid of the horrid space ship look that was the vaulted ceiling. 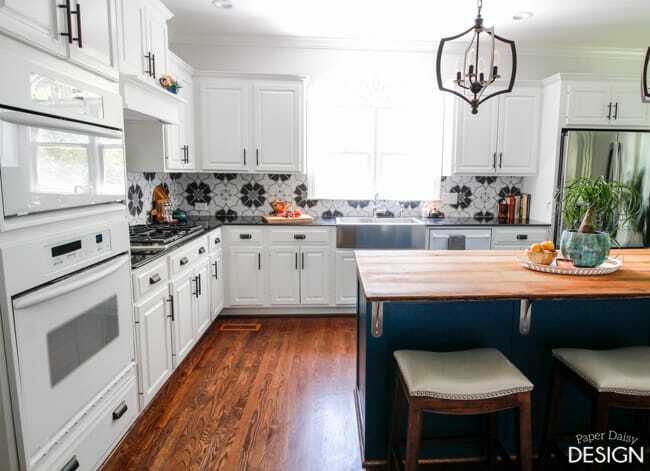 But then we were kind of busy with our budget kitchen update. You can see the first phase of this makeover by clicking HERE. 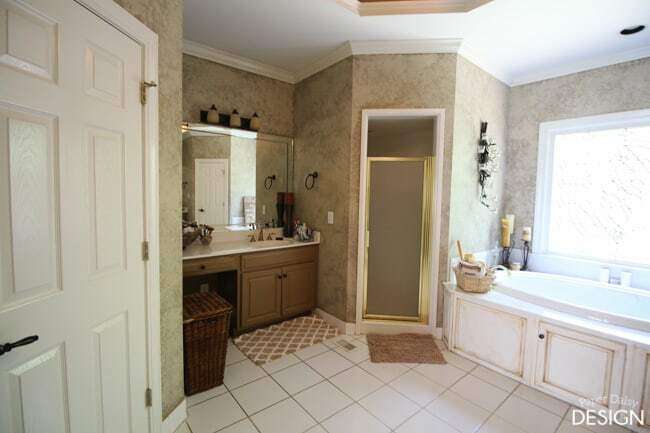 And our powder room flip and remodel. Just getting a working toilet on the main level of the house was kind of a big deal to us. We even got all fancy and added a vestibule. You can see the complete transformation HERE. So that gets us here, where we are now. I would never have imagined that by even now the room would still be like this, very much in a beginning stage. 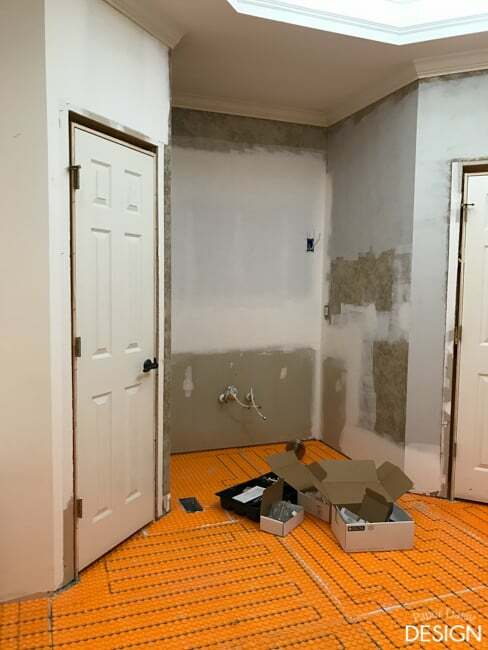 We recently made a little progress and laid the Ditra Heated Floor system and subfloor for the tile. 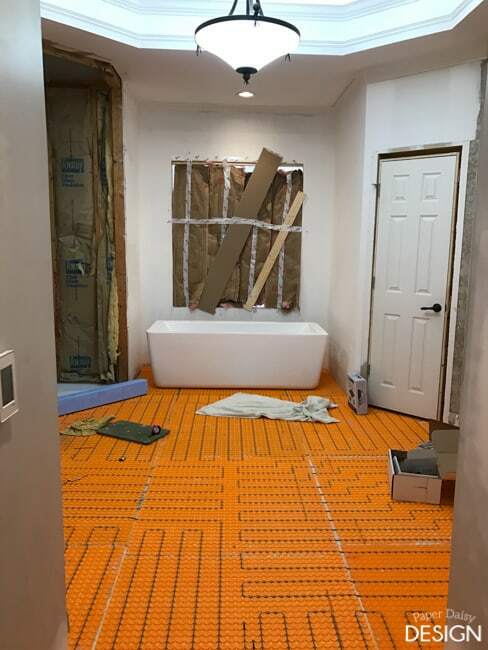 (Affiliate Link) We absolutely loved having the heated floors in our last master bathroom. 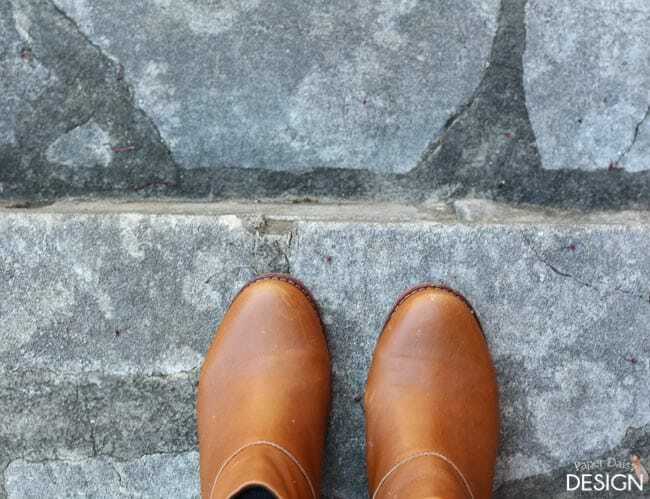 I can’t tell you how amazing it is to not have to walk on cold tile. It’s like that old saying, once you’ve had it, you can never go back! The great thing about this system it is totally a doable DIY project and I promise to share complete tutorials soon. I also began setting tile this week. It’s going rather slowly because I didn’t order enough of the leveling spacers. Hopefully that’s the only mistep! 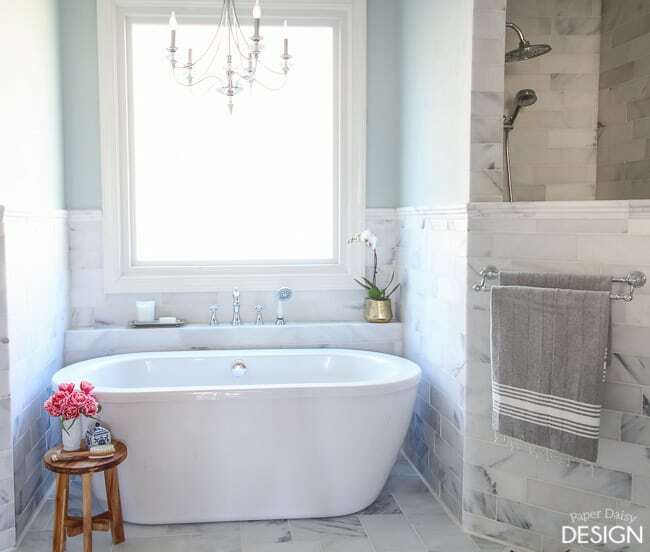 The good news is all of the components for the new bathroom have been ordered and have been waiting to be installed for quite a while, like the tub in the photo above. The window was ordered about 5 weeks ago and should be installed in the next week or two, hopefully. Next Thursday, and every Thursday for the next 5 weeks, I will share the design plan and hopefully I will have a tiled floor to show you. And wouldn’t it be totally awesome if the water closet actually had at toilet??? At this point, I promise you, it would be life-changing for us! Want to see more room amazingly beautiful makeovers unfold? You can follow the 20 designers chosen as One Room Challenge Participants. And follow along with other Guest Participants. 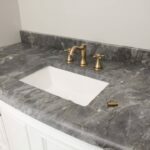 If you’d like to see the full reveal of last year’s Marble Master Bathroom One Room Challenge, CLICK HERE. 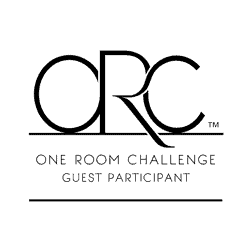 I will leave you with this little design teaser. 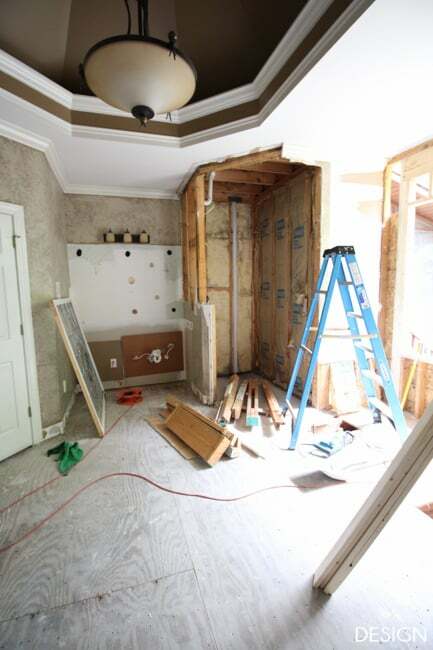 It will likely be evident that this new master bathroom will be inspired by, but not at all the same, as the previous master bathroom. What can I say? 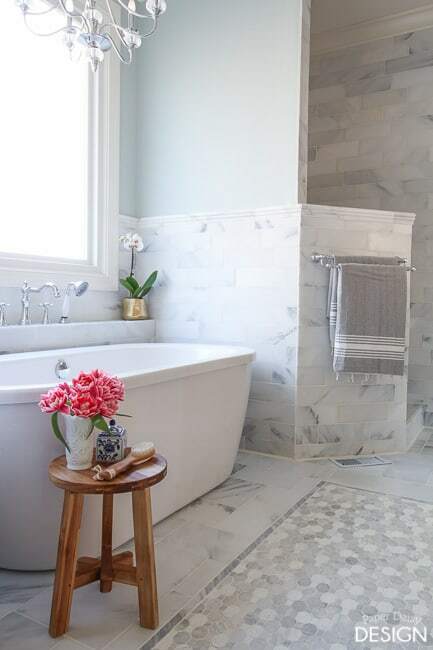 I never intended to leave the previous one so quickly and I love a traditional, luxurious bathroom. 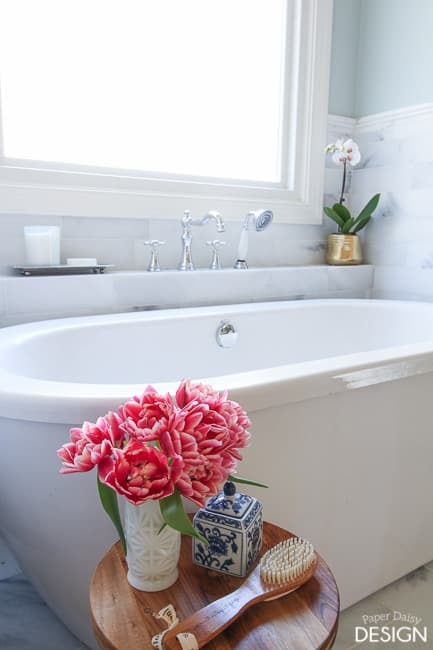 You can follow my Beautiful Bathrooms Pinterest board here. 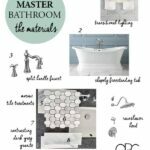 I invite you to come back next week to see how I mix all my favorite bathroom design elements into a new and hopefully improved master bathroom. Do you think I can do it? Wow Leslie you guys have been busy! 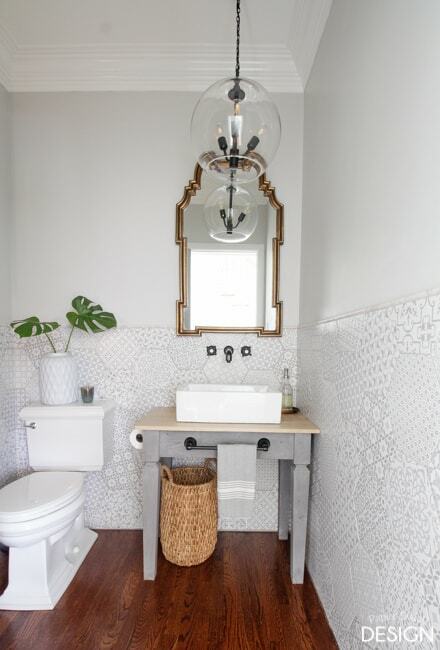 I am still in love with the tile from your powder room. 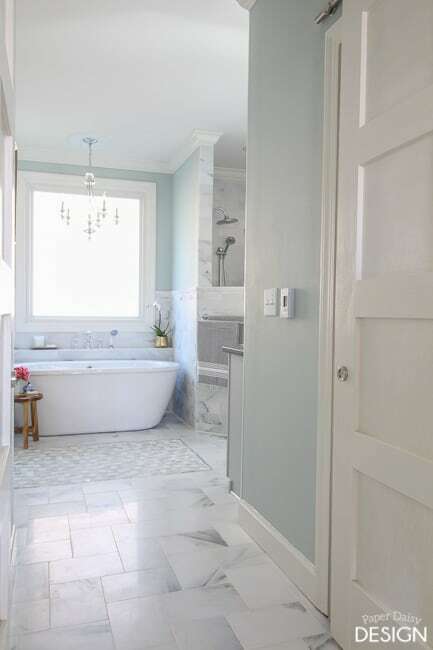 I love that you are inspired by the bathroom at your old home. That is completely acceptable that just means you know your style and you love it. Can’t wait to see the progress! Thanks, Michelle! That’s a great way to look at it. I guess I do know my style, especially when it comes to bathrooms. I think it will be different enough to feel like a new, and hopefully improved space. Will you please post the link to the shower tutorials? Do you know the dimensions?